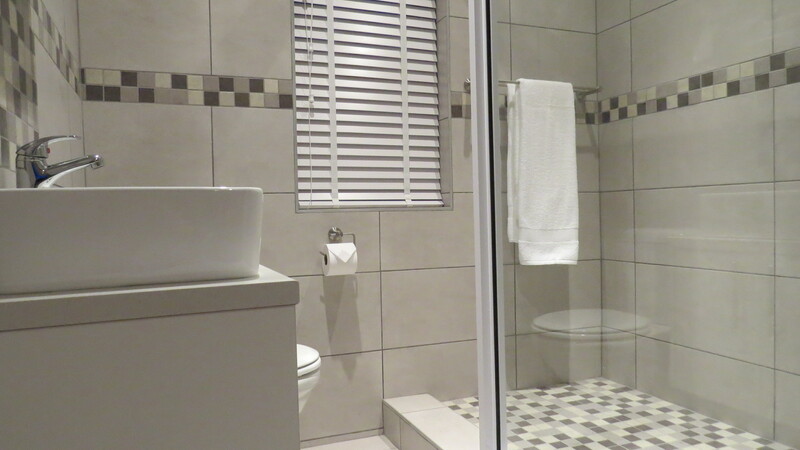 Two newly built modern apartments located a mere 2km from the beautiful historical centre of Stellenbosch. 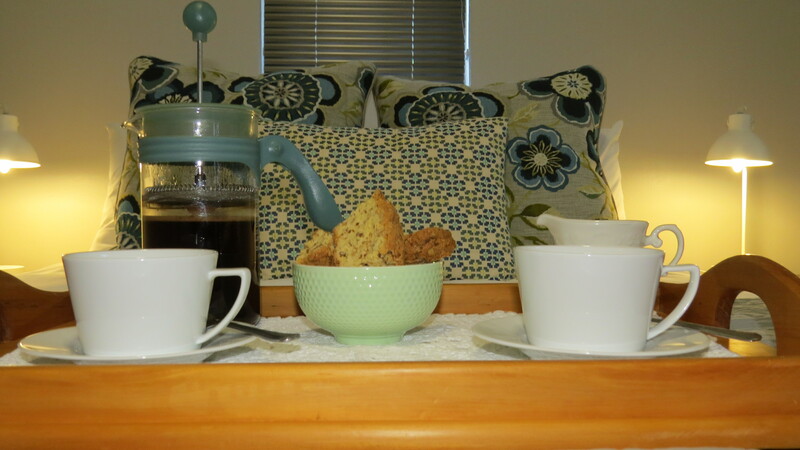 Our Family apartment upstairs can sleep a family of 4 and the Studio apartment downstairs can sleep 2 guests. 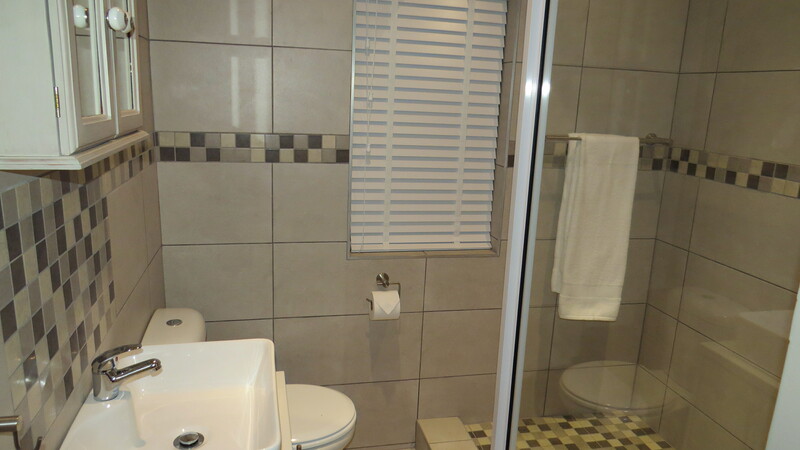 A tasteful, elegant, newly built establishment offers two apartments that meet the needs of families, business travellers, individuals, friends and couples. Our Family Apartment upstairs can comfortably sleep 4 guests. 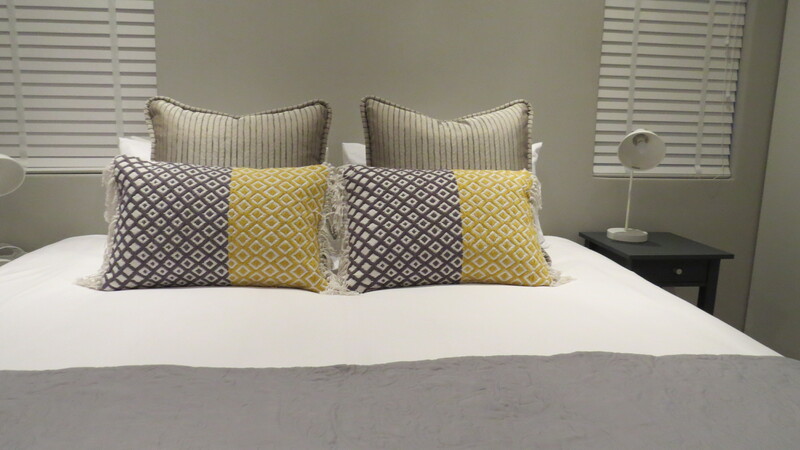 A main bedroom with a king size bed and a second bedroom with two single beds is ideal for families, couples and friends. The living area offers a cosy lounge where guests can enjoy reading a book on a winter's day. The beautiful, fully equipped, open plan kitchen allows for immediate entertainment in the dining area which opens to a spacious balcony that can seat up to 6 guests. 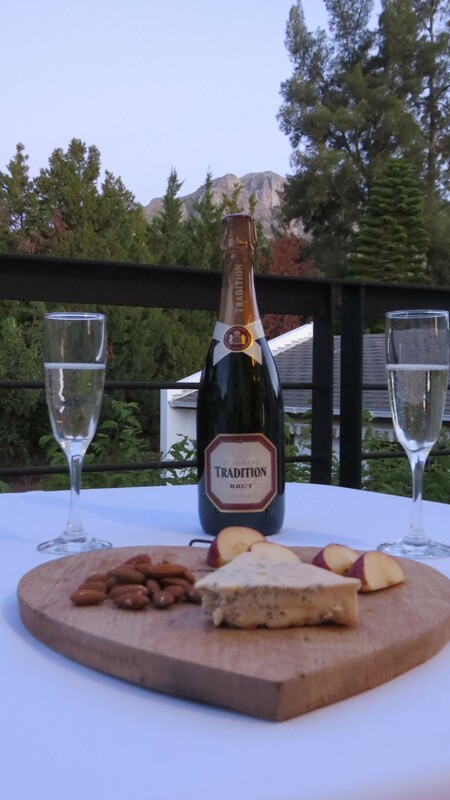 From the balcony you can even enjoy a partial view of the beautiful Stellenbosch Mountains. 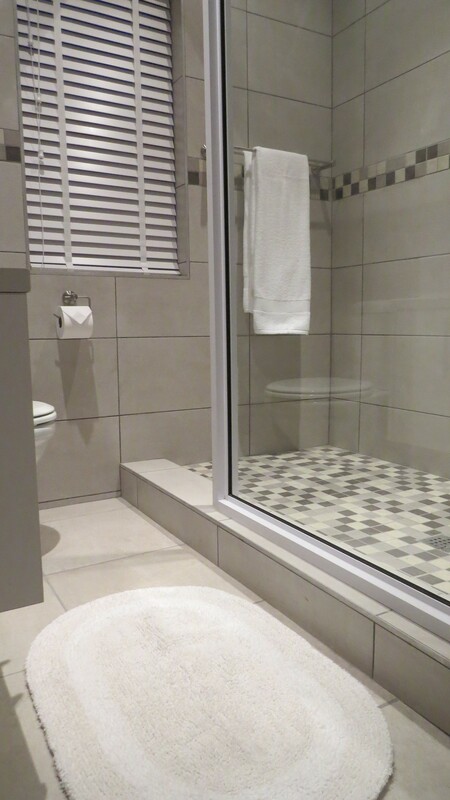 Our Studio Apartment downstairs can comfortably sleep 2 guests, has a satellite kitchen and an en-suite bathroom. 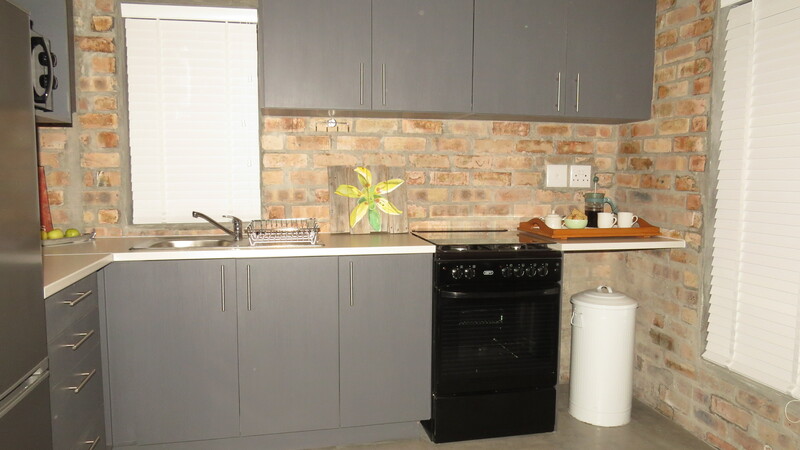 With all the necessities available such as a microwave, toaster, kettle and a bar fridge, this modern studio apartment ensures a comfortable stay in Stellenbosch for the business traveller, couple or pair of friends. Two secured parking spaces behind gates ensures a good night's rest. 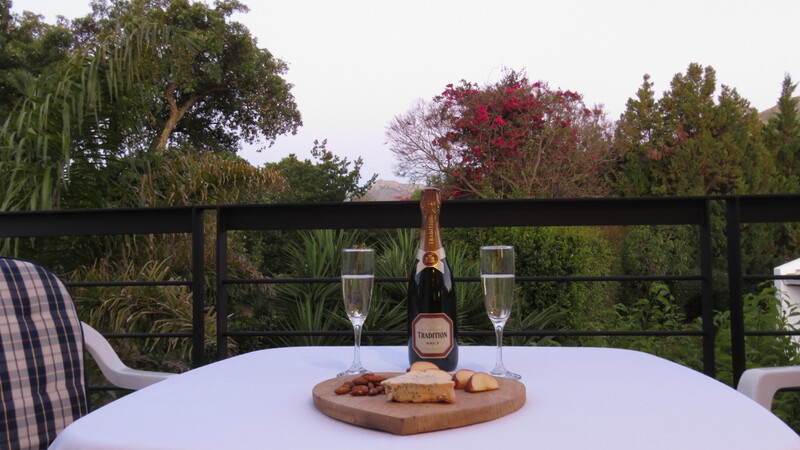 Potential noise can be heard with the R44 road that's bordering the property, however this location also enables our guests to easily access the Centre of this historical town within minutes by foot or car. Beautiful golf courses, very well-known wine estates and breath-taking nature reserves are a mere 5-15 minutes’ drive away.